When homeowners in Nashville need replacement metal garage doors, the home improvement company they rely on is 31-W Insulation. We are known throughout the Southeast for our expert installation services and commitment to top-notch customer service. We offer a free consultation to help you choose the door that best suits your needs and budget. And, once you’ve selected your door, it will be installed efficiently and precisely by our extensively trained employees, not subcontractors. This way we can ensure that every aspect of the project adheres to our stellar workmanship standards. It’s no wonder that we have consistently earned an A+ rating with the Better Business Bureau. Regardless of the options you choose, your new door will be covered by a comprehensive manufacturer’s warranty for peace of mind that your investment is protected. 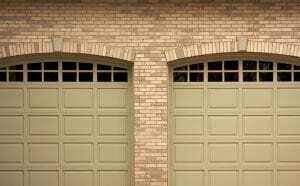 To learn more about the metal garage doors we offer Nashville residents, or to schedule a consultation, contact 31-W Insulation today.